As cat breeders and enthusiasts, we think it's of great necessity and importance to provide care and nutrition to your pet kittens/cats for proper growth and health. Below are some tips and suggestions regarding kitten and cat care. To Be or Not To Be: An Indoor or Outdoor Cat? You should keep your cats indoors AT ALL times, period. By allowing your cats to roam outdoors, it poses much risk in them returning home with viruses and bacteria from other cats and animals nearby, which can result in death. Because of this, Azureys is a closed cattery; meaning we don't allow our cats to roam outdoors or allow strangers and outdoor cats to come in close contact with our cats and/or kittens. If you do feel that you want your cats to get fresh air, you can build for them an outdoor playpen, which helps keep them protected, and contained. It's necessary to keep your kittens/cats healthy by taking them to the vet regularly for medical check-ups and needed vaccinations. Your average visit to the vet should be every six months or when needed for vaccinations. We believe your vet should be your best friend, and we always encourage this to everyone who has pets. Even though we take our cats for needed veterinary care, we try to avoid health problems and concerns by the method of prevention, rather than curing the problem once it has already taken its toll. We believe being informed and educated assists in the prevention. 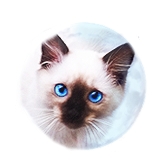 At Azureys, we try to prevent any health problems and risks by means of prevention, and take our kittens/cats to our trusted vet when needed thus reducing vet visits. We also take much care and go a step higher by vaccinating our kittens/cats ourselves at our home location to avoid stress and close contact with bacteria, viruses, and other risks associated when visiting a vet's office. As breeders, it's of a much higher responsibility to avoid problems like this due to the increased risk it poses in our queens and kings getting infected and the possibility of cross-contamination to other cats and/or kittens in our home. Not many people are educated on the inhumane procedure of declawing a kitten or cats claws. Please see the documentary trailer below. Our kittens and cats are cared by us dail and are given a balanced meal consisting of vitamins, minerals, and other nutrients necessary for essential growth and health. Additionally, we also give our cats and kittens salmon, tilapia, and other fish meals when possible to assure they receive essential nutrients only found in fish. This helps preserve your cat's beautiful coat and bright eyes. After much consultation, research, and investigation, we've found that the best food offers the best type of protein and ingredients. The food we've found to have the best ingredients and one that is backed by real responsible food producers, is Life's Abundance. If you've done your pet research, you might have found breeders of cats, dogs, and other pet owners that feed their loved ones Life's Abundance. This company is actually one of the few out there that remains loyal to breeders and pet owners through their natural and responsible food production. If you might have a concern regarding this type of brand, be aware that it's not a marketing scheme nor a pyramid scheme of the animal health industry. They have a great program for pet owners and breeders alike with the trust you can keep for the longevity of your pet. If you would like more information regarding Life's Abundance, please do not hesitate to contact me or visit the Life's Abundance site to learn more . 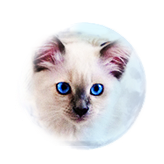 Being that we are not only pet owners but breeders of the rare, beautiful and very special Balinese cat breed, we wanted to find the best possible diet to provide to our cat family. After doing much research, ingredient, brand and diet comparisons, we decided Life's Abundance cat food was the best food for us. We also acquired much information and confirmation from one of our breeder mentor cat friends who has been breeding for a long time in California and she as well truly believes in the Life's Abundance brand. There are many reasons why we promote and feed our kittens and cats Life's Abundance foods whether it be it's high quality dry food or wet food. To begin with, we feel very happy and secure in feeding them food from Life's Abundance because they are a private company based in the United States that truly believes in high quality products. 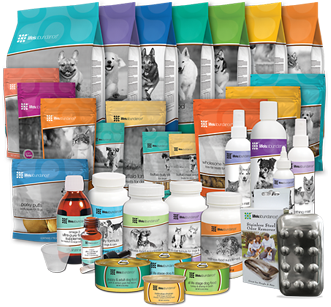 They produce pet food and other products with the highest standards and only use safe and high quality ingredients. Other companies that produce commercial brand foods use low quality ingredients with some produced in countries such as China that have very minimal food regulations as well as poor quality standards in ingredients. These ingredients at times contain lead, mercury and other carcinogens. For this reason there have been many health related problems in the dog and cat food industry. US based companies have moved abroad or have sourced their ingredients from outside the United States to reduce costs but with it sacrificing quality and safety. Because of this we have read and heard of numerous pet food recalls in the past decade or so and it becomes very devastating to those families and individuals that come home to find their pets dead on the floor or sick because of such poor quality foods. With Life's Abundance you become a client not a customer at a pet store. If anything were to occur at the level of food production and/or shipping, they will contact you directly. They have your contact information stored in order to process your food order monthly or whenever you would like it auto-shipped but if anything were to occur such as a pet recall; which has not happened thus far thank God, they would be able to contact you directly and promptly. The way Life's Abundance produces food is one that definitely assures quality. You and your pets are sure of the freshness when you first open the bag of food. Being that they produce their food in small batches and they ship out their food shipped individually to you, the food is very fresh and remains fresh with time because it was recently produced and not stored. With commercial brand foods such as Fancy feast, Iams, Eukanuba, Purina, Blue Buffalo and others, you don't know how fresh they truly are and how long they have been stored at the pet store. Generally commercial pet food is produced months prior to being shipped/distributed and then stored in warehouses or pet stores until it is purchased which can be much long after that. Please keep in mind that you cannot compare the quality and standards of Life's Abundance brand food to very cheap cat food or "premium" quality cat food available in pet stores. Though Life's Abundance foods might essentially be a bit pricier, you are actually paying more in the long run in feeding your pet low quality food at cheaper prices. The reason for this is due to more food your kitten/cat will need to meet its nutritional requirements as well as your pets health in the long run. With Life's Abundance a small amount goes a long way for the long run. Convenience is also a perk with Life's Abundance because they provide auto-shipping right to your door. This means you can purchase food and be secured that your food will be ordered and arriving at a set day. This can be monthly, every 2 months or any specific time period you would like. What we recommend in terms of having food auto-shipped is to order every month for the amount that your pet will use monthly, or order in bulk every certain time period (i.e. 2-3 months) in order to have a reserve/surplus of food. We feel it is always better you have enough pet food than have to go purchase and feed your kitten/cat commercial brand food and stress your pets immune and digestive system due to the change in diet. Shipping is very fast and convenient with their facilities located around the US in Florida, Connecticut and Texas. Food arrives to our door the next day. 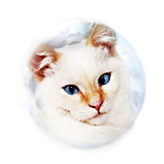 Convenience is very important to us as it is with about everyone, we all have busy lives and for us with a top quality breeding program we do not have the time to go food shopping when we can dedicate our time to our cats and the kittens that we raise. Life's Abundance also produces and sells pet cleaning products that are just wonderful and are perfect for our breeding program's cleaning needs. 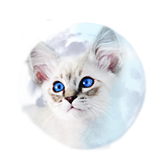 In all, Life's Abundance brand cat food is one of a kind and truly the best out there for those that want to provide the best to their kitten family member. Always remember that food is a very essential factor in the lives of all living creatures. 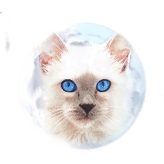 Siamese and Balinese cats live long and beautiful lives but always keep in mind that just as it is with humans, pets also need the dietary and nutritional requirements they need to continue living a healthy, and abundant life.